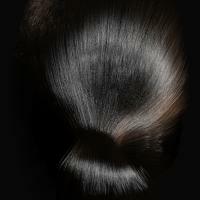 Light scattering from hair is normally simulated in computer graphics using Kajiya and Kay's classic phenomenological model. We have made new measurements that exhibit visually significant effects not predicted by Kajiya and Kay's model. Our measurements go beyond previous hair measurements by examining out-of-plane scattering, and together with this previous work they show a multiple specular highlight and variation in scattering with rotation about the fiber axis. 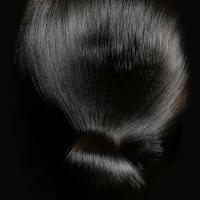 We explain the sources of these effects using a model of a hair fiber as a transparent elliptical cylinder with an absorbing interior and a surface covered with tilted scales. 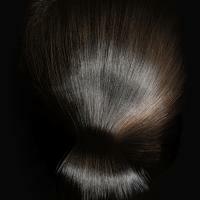 Based on an analytical scattering function for a circular cylinder, we propose a practical shading model for hair that qualitatively matches the scattering behavior shown in the measurements. 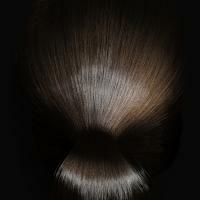 In a comparison between a photograph and rendered images, we demonstrate the new model's ability to match the appearance of real hair. Reference: Stephen R. Marschner, Henrik Wann Jensen, Mike Cammarano, Steve Worley, and Pat Hanrahan: "Light Scattering from Human Hair Fibers". Proceedings of SIGGRAPH'2003.